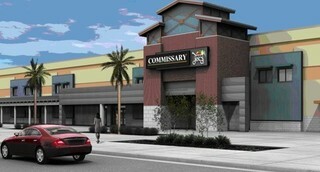 When planning your next commissary or exchange shopping trip at Keesler Air Force Base in Biloxi, Mississippi, be sure to go to MyMilitarySavings.com first to find the latest coupons and other discounts. We understand how difficult it can be for members of the military and their families to find the time to sift through dozens of sites just to find savings. That’s why we’ve gathered the best savings we can find into a one-stop hub for military shoppers like yourself, eliminating the hassle involved in looking for deals at the commissary and exchange stores. What’s more, you can access the My Home Base page, a helpful landing page that will show you local deals, maps, hours of operation, and more for the commissary and exchange at Keesler AFB. We also offer our My Home Base Circular, an interactive monthly ad with coupons and other savings opportunities that you can print out or share with friends and family. For additional information about the commissary and exchange savings we offer to military shoppers at Keesler AFB, sign up today for your free MyMilitarySavings.com membership.